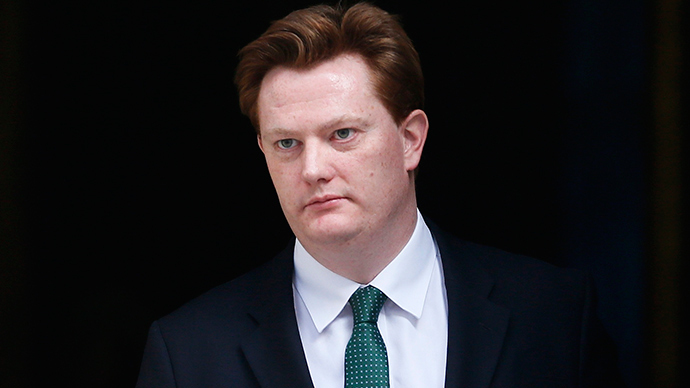 The Conservatives have denied they are planning to cut welfare by a further £8 billion, as revealed on Thursday by Liberal Democrat Treasury minister Danny Alexander, saying the measures are “definitely not” part of post-election policy. The sweeping cuts were exposed by Alexander, the Liberal Democrat chief secretary to the Treasury, in Thursday’s Guardian. He claimed the four most senior Tory ministers were handed a document called “Welfare Reform Quad Summer Reading Pack” in June 2012, in which plans for deep cuts to child benefit and child tax credit were laid out. The proposals included limiting child benefit to two children, means testing for child benefit and removing the higher rate of benefit for the first child. LibDem leader Nick Clegg called the Tories "deceitful" for attempting to implement the cuts, and said his party would "tread warily" if they were to form another coalition. A Tory spokesperson said the plans were “definitely not” party policy. “This is desperate stuff from Liberal Democrats who are now willing to say anything to try and get attention,” he added. The Conservatives have, however, previously said they wish to cut a further £12 billion from the welfare bill, but have refused to lay out plans for further benefit cuts before the general election on May 7. “I am lifting the lid on this now because the Conservatives are trying to con the British people by keeping their planned cuts secret until after the election,” Alexander said in a statement. Conservative MP Michael Gove denied the claims and echoed the spokesperson’s claim, saying the Tories would not go further than freezing tax credits. “We’re going to freeze them for two years, we are not going to cut them,” he said. A Liberal Democrat source said the party had exposed the dangerous levels of Tory cuts planned by a potential government. “The measures set out in the document would have raised over £8 billion – and shines a light on the scale of the cuts to working age welfare support the Tories will need to make to deliver on their cuts to welfare.